Nutrisystem has come up with a specially designed weight loss module for people who are over sixty years of age. Nutrisystem understands that when the body begins to age, its requirements changes. When dealing with weight issues of senior citizens you need to be extra cautious with the plan as they already may be suffering from many heart ailments and are prone to the risk of heart diseases. That’s why Nutrisystem launched ‘Nutrisystem Silver‘. Please Note: Nutrisystem Silver is now “Nutrisystem Core”. This program by Nutrisystem is currently available for US and Canadian nationals only. Nutrisystem is specially designed to meet the dietary requirements of senior citizens and ensuring a perfectly proportioned meal for them. Nutrisystem Silver has varied options included in its special food menu which includes breakfast, lunch, dinner, desserts and in between snacking options. Nutrisystem’s weight loss plan ensures special attention to the meals included in it so that they are protein rich as with ageing the cellular and muscle damage occurs to a greater extent and body need a lot of protein to cope up with that. Lower amounts of sodium are included in the food preparation for senior citizens as it helps regulate their blood pressure. Reduced cholesterol and high fiber content is ensured in the food and inclusion of Omega 3 fatty acids is a newer feature. In addition, gluten-free diets among older adults are becoming more popular and this is another great feature of Nutrisystem Silver. Lasagna, Mac and Cheese, Fruits, Pizzas , perfectly dressed Salads, Chocolates, Cereals etc, are a few popular dishes from the wide range of menu offerings in the Nutrisystem Silver range. The use of artificial sweeteners is limited too. You are free to choose from the favorites pack or self pick the entire 28 day menu too with the food delivered absolutely free at your home. The food aims at providing 1,250 calories on an average basis which helps to instigate the weight loss procedure in the body without any physical exercise. You could supplement your Nutri-meals with fresh grocery items like fruits and vegetables recommended in the Nutrisystem’s journals and fat free dairy products too for best nutrition. Get $100 Off + Free Bars & Shakes and FREE SHIPPING! $80 OFF TOP-RATED UNIQUELY YOURS + FREE FEDEX SHIPPING!! 40% OFF Diabetic Plan + FREE BARS & SHAKES + FREE SHIPPING! Nutrisystem Silver Basic – This is the cheapest option in the lot costing just a $8 for one day meals. It includes discounts if ordered through auto delivery process. Healthy supplements are also provided along with the meals to keep the heart healthy. Nutrisystem Silver Core – This is the most popular among users due to a few extra features available than the Nutrisystem Silver Basic like priority processing of your orders will be done. You would get free sessions from the counselors over phone and menu customization feature is also available. All this comes at an economical and affordable cost of $10 per day. Nutrisystem Silver Uniquely Yours – This includes all the features available in the other two variants but have many remarkable features like a whole new range of frozen food delicacies is available to you which you can even fully customize and hand pick your choices from. This plan costs $12 a day but the frozen food menu is just worth a few extra bucks if it would suit your pocket. Click Here to see all the Plan Options and Costs Side by Side. Please Note these meals are normally discounted to 40%, but by Clicking Here you can receive a 40% discount on your purchase! Despite so many years of proven excellence in its weight loss services backed up with numerous heartfelt success stories of real people, Nutrisystem was many a times panned by the critics. Basically for the single question which lingered into the minds of many Nutrisystem users too – What after Nutrisystem? How would you maintain? Not all users could afford to keep up with the Nutrisystem meals for ever. The question was raised because the users were not knowledgeable about how to replicate the food engineering of Nutrisystem’s structured food in their own kitchen. Most of the people were ignorant about how to incorporate the correct carbohydrate, protein, fat ratio used in their Nutrisystem meals which they had got used to, in the daily life cooking where one has to deal with food portions, cheese, salad dressings, meat, eggs etc. But in the year of 2011, Nutrisystem came up with a remarkable `after-plan’ known as the Transition Plan. It was made for users who had achieved their goal weight to shift to planning and arranging their meals on their own. The shift had to be gradual in order to avoid the `Yo-Yo diet syndrome’. This plan had strategically designed four steps which were to be used in a progressive manner over a period of few months for best effect. ‘Weekends on Your Own’ was the first step towards freedom. In this plan, the user could order the Nutrisystem meals only for weekdays. On the weekends the user was free to choose breakfast, lunch, dinner according to one’s own sensibilities gained during the weight loss program. After some time the user could shift to the second step. The second step known as ‘Dinners on Your Own’ helped the user to skip the daily dinner too. The third step was ‘Just Lunch and Snacks’. After learning to play with their own meals by adjusting the portion size well during these three steps, the user could now take care of all his/her meals. All one had to do was a little practice of adjusting the portion size and taking care of what percent carbohydrates went into the dish etc. The fourth one called ‘Success a la Carte’ was a remarkable opportunity for the Nutrisystem users to order any number of dishes of choice separately without purchasing any meal plan. One could always savor the taste of one’s favorite dishes as per wish which was a nostalgic experience provided to the users. Transition Plan are very much approved and liked by the Nutrisystem users. Together they make a successful Transition Plan with no glitches and help the user or we may call `Nutri-User’ to maintain their weight and personality for ever with the correct planning. Even more new users are getting associated with Nutrisystem because of its complete program now. The reviewers have been truly answered by the Nutrisystem’s launch of exemplary Transition Plan which proves the Phrase correct- `Action Speaks More Than Words’. The Nutrisystem Grocery Guide is one of the most popular aspects of the weight loss program that all people can use. This is a guide that will provide people with information on the many foods that they can utilize in their weight loss plans. These foods are designed to go along with the foods that are recommended in the Nutrisystem program. While Nutrisystem has an extensive variety of different foods that feature a series of popular and easy to use foods, these are foods that are designed to work in between the stages of the program. This is all to ensure that a person can easily create a good and healthy lifestyle that will be easy for all to use. The Nutrisystem Grocery Guide has information on the many different vegetables that may be necessary for one’s diet. These include many different options that are organized with many serving sizes ranging from one cup of raw spinach to half a cup of tomato juice with no salt added to it. These vegetables are all attractive and useful for many needs when it comes to keeping one’s body healthy. The SmartCarbs section of the guide lists information on the many carbohydrates that are safe for one to consume. These are carbs that are lower on the glycemic index. This means that they are not going to be digested all that quickly. 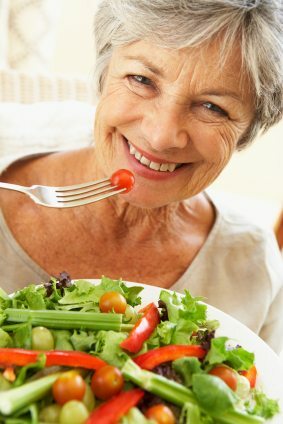 As a result, it will be easier for the body to manage itself and to burn off weight when maintained properly over time. SmartCarbs are designed in many forms. People can use SmartCarbs like a medium apple, one cup of mangoes or a quarter of a cup of raisins. The options that Nutrisystem has to use in this section can be ideal for a number of different nutritional needs that one might have. PowerFuels are often added to the mix as well. These are proteins that will have more amino acids and healthy fats. These take a while to digest and will keep anyone from being hungry for far too long. It can really fit in well when curbing one’s appetite over time. Many of the foods that are listed in the Grocery Guide include options like chicken breast, oysters, soy milk and other popular products. These are typically offered with a few ounces per serving and can fit in perfectly when trying to have that ideal food to get in addition to the meals that are already in one’s plan. Keep in mind, it is very important to learn how to calculate macros in order to ensure you are receiving the correct amount of protein, fat, and carbs. The Extras in the Nurtisystem Grocery Guide are the last things that take a look at. These Extras refer to optional items like cumin, salsa and vegetable broth at a low sodium level. These are not required but they may be used alongside the different foods that are being used in the dietary plan. It may also allow you to save with discount codes from Nutrisystem which can help your money go along way on the plan. All of these options can work well for the demands that people may hold when trying to lose weight. The options that are around with regards to the Nutrisystem Grocery Guide are proof of just how effective and sensible the weight loss plan can be for one’s requirements. People who pay a little extra per month in their Nutrisystem weight loss programs will receive access to Nutrisystem Advantage. This are useful for the needs that people often hold when finding ways to manage different types of goals for losing weight. A customer will get a full guide on what to do the right way when dining out and keeping one’s body in check. People can also post messages on discussion boards relating to different types of weight loss strategies. There are also many informative and helpful articles for people to review on this site. These articles will help people to discover many points relating to what can be done at any given time in order to lose weight. As helpful as these features are, they are just a small taste of what people can get when it comes to being a VIP member. A VIP member will certainly get more advantages out of the program at large to improve one’s life. A daily meal planner is included in any VIP account. This planner will help people to learn about the many things that are covered in the program and what people can do in order to stay healthy. A weight and measurement log will also be used as needed. This log will provide people with information on what they can do in order to lose weight and keep all that weight off as desired. A personal journal may also be kept on one’s profile. This is a personal and private feature that will allow anyone to write out one’s thoughts during a weight loss plan while ensuring that one stays motivated. People can also get progress reports that relate to the foods that they have ordered and the goals that they have listed. This includes information on what needs to be done in order to make it easier for different weight loss goals to be achieved. All of these features are designed in the program to make it easier for anyone to lose weight and feel healthy over time. This can be advantageous to anyone who wants to lose weight and should certainly be of value. It will not be all that hard for anyone to get the most out of a weight loss plan if the right features are used. The best Nutrisystem VIP benefits will help people to keep tabs on their weight loss needs while ensuring that there are on problems coming from the weight loss process. All people should see how well weight loss goals can be achieved and this will not be all that hard to work with as desired. 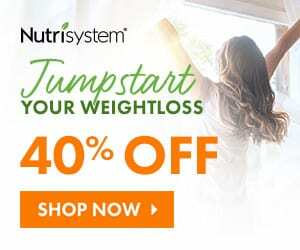 In March, 2012 Nutrisystem launched its ‘Nutrisystem Everyday‘ products range and expanded its retail business by collaborating with the Kroger Supermarkets which is the biggest daily grocery retail chain in America. Nutrisystem Everyday is a wide variety of products that range from breakfast items, bakery items, chocolates, and smoothies etc. In the breakfast range there are products like Maple and Brown Sugar Oatmeal, Crunchy Granolas, Vanilla and Chocolate smoothies, Blueberry muffins and Iced Chocolate cakes to name a few. The snacking range provides you options like Peanut Butter bar, Fudge Graham bar, Double Chocolate bar etc. There has been a huge craze about Nutrisystem’s mouth watering delicacies among the non-dieters too. People who have been already blessed with fit bodies also wanted to savor the Nutrisystem’s yummy dishes. Seeing this rage about its products, Nutrisystem launched this product range which is openly available for mass sale at the Kroger’s stores and people who come to buy groceries at these supermarkets can pick as many options as they would like to try out. All the products sold under the Nutrisystem’s Everyday range fits into the healthy eating notion of Nutrisystem’s weight loss diets. All these food items are less on calories, less in sodium concentration, rich in fiber content, contain good carbohydrates, are rich in proteins and low on fats. This makes it a perfectly healthy range of breakfast and snacking options. Nutrisystem Everyday is of great advantage to people as many a time even healthy people too have to grab a quick bite at fast food outlets due to being short of time. So people could use these healthy options to supplement their `quick meal’ needs occasionally. This range helps the mothers’ to provide healthy snacking options for their kids who have mid meal hunger pangs without over burdening the calorie count. This product range is also a boon for ex Nutri- users who have lost weight and are over the transition period. These people who have achieved their dream figures can use the products from Nutrisystem Everyday to supplement their meals whenever required maintain their weight lost. Also the ex Nutri- users could savor the delicacies which they liked the most during their weight loss period as a nostalgic remembrance of their successful journey. The Nutrisystem Everyday is a well formulated, well calculated and beneficial approach by Nutrisystem to benefit not only its past user but also make the products and awareness about healthy eating to reach the masses by making few of its products so easily available. Also this move can excite the overweight people to taste these items and get an idea of what Nutrisystem Weight loss meals taste like and encourage them to participate in the weight loss plans for their own healthy living. Daily grocery shopping is a retail option which keeps always on high despite recession. Therefore by foraying into the grocery market, Nutrisystem has made a wise business expansion move. It is the best way to make common people know about its services that otherwise hesitate to spend a lot of money and are tight on budget. It is definitely spreading health awareness in USA.